Stay in one of 69 guestrooms featuring flat-screen televisions. Complimentary wireless Internet access keeps you connected, and cable programming is available for your entertainment. Private bathrooms with shower/tub combinations feature complimentary toiletries and hair dryers. Conveniences include phones, as well as desks and coffee/tea makers. Offering an à la carte restaurant with live cooking, Van Der Valk Hotel Zwolle is located at 6 km from Zwolle. Free Wi-Fi access is available. Rooms here will provide you with air conditioning, a minibar and a seating area. There is also an electric kettle. Featuring a shower, private bathrooms also come with a bath and a hairdryer. Extras include a desk, a safety deposit box and ironing facilities. At Van Der Valk Hotel Zwolle you will find a breakfast buffet in the morning. Other facilities offered include a communal lounge and a bar. Guests can make free use of wellness and fitness facilities. The hotel is 6.1 km from IJsselhallen Zwolle, 5.2 km from Stedelijk Museum Zwolle and 5.4 km from Overijssels Centrum Beeldende Kunsten. The property offers free parking and a Tesla charging point. Be sure to enjoy recreational amenities including a sauna and a fitness center. Additional features at this hotel include complimentary wireless Internet access, babysitting/childcare (surcharge), and tour/ticket assistance. Featured amenities include complimentary wired Internet access, a 24-hour business center, and express check-in. Planning an event in Zwolle? This hotel has facilities measuring 4844 square feet (450 square meters), including a conference center. Self parking (subject to charges) is available onsite. Take in the views from a terrace and a garden and make use of amenities such as complimentary wireless Internet access. Additional amenities at this hotel include concierge services, gift shops/newsstands, and wedding services. A stay at Bilderberg Grand Hotel Wientjes places you in the heart of Zwolle, within a 10-minute walk of Sassenpoort and Museum De Fundatie. This 4-star hotel is 0.6 mi (0.9 km) from Grote Markt and 0.6 mi (0.9 km) from Grote Kerk. Offering quality accommodation in the historic district of Zwolle, the hotel is a popular choice for both business and leisure travellers. From the property, guests can enjoy easy access to all that the lively city has to offer. 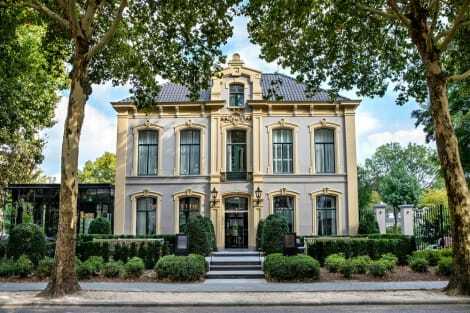 This splendid establishment is within easy reach from the city's main attractions such as the Historisch Centrum Overijssel and Stedelijk Museum Zwolle. This pet-friendly hotel is also 3 kilometres from the Zwolle train station which offers easy access to explore the area. The property has different accommodation options including comfortable rooms and suites. Each unit enjoys delightful design to offer a heaven of peace and tranquillity in which to unwind after a busy day of work or sightseeing. The glamorous hotel restaurant serves exquisite dishes, which might be followed by a quality drink in the lounge bar. Corporate guests may make use of versatile meeting facilities. Librije’s Hotel, in Zwolle’s historic centre, offers elegant rooms and a 3 Michelin-star restaurant in the unusual setting of a renovated 18th-century women’s prison. Free WiFi is available. Featuring an unique decor, all of the luxurious air-conditioned rooms and suites at Librije's Hotel come with a flat-screen TV and a minibar with complimentary drinks and snacks. The bathroom is fitted with a large bath or a shower. A range of cookery lessons and wine courses are available at Librije's Atelier. There is also a shop offering wines and home-made delicacies. The kitchen of Restaurant De Librije sources its natural ingredients and products locally. Guests will also find a lounge where aperitifs or cocktails can be enjoyed. 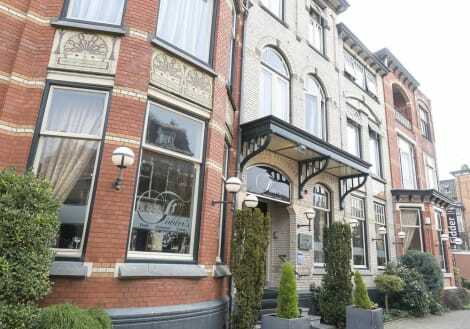 Librije's Hotel is a 10-minute walk from the Zwolle City Museum. Zwolle Railway Station is less than a 20-minute walk away. The centre of Apeldoorn is just over a 30 minutes’ drive from the hotel. lastminute.com has a fantastic range of hotels in Zwolle, with everything from cheap hotels to luxurious five star accommodation available. We like to live up to our last minute name so remember you can book any one of our excellent Zwolle hotels up until midnight and stay the same night.